NO HIDDEN FEES...NO SALES PRESSURE! Annual Membership pricing is below. All require a minimal ONE-TIME Enrollment Fee and NEVER an annual "maintenance fee." 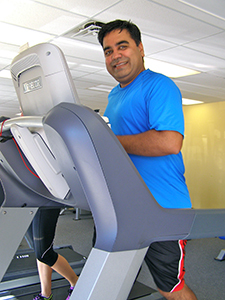 Gym Only Membership: $19.97* per month gets you unlimited access to all gym equipment every day of the week. Class Only Membership: $34.97* per month for those who choose to take unlimited classes but prefer not to use gym equipment on their own. Full Access Membership: $39.97* per month includes unlimited access to all gym equipment and unlimited classes. New! Flexible Membership: Simply add $5 to the above prices and be able to cancel within the 1st year! Stay a year and that $5 is removed from your monthly fee! Or switch from Flexible to non-flexible at anytime to save that $5! SAVE 7% when you pay a full year in advance! Otherwise, debit/credit auto pay on the 1st of each month. *Student, Military, Teacher, Police/Fire/Rescue, Family Add-On and Senior Citizens Discounts available! *Note: Memberships require an enrollment fee. (Current Special… Save $49 off Enrollment. Only $50!) Memberships are for a 12 month commitment, though you may cancel if necessary with 60 days' written notice as described on your contract if you choose our Flexible Membership. AFRAID OF COMMITMENT? TRY A FUEL PASS!!! Fuel Passes entitle you to a visit, classes, etc without a contract and NO registration fee! **Every Friday is $5 Friday! And Sundays are $6 Sunday! Pay those low prices for unlimited classes/gym use for that day! Feel free to contact us via email at info@fuelfitsj.com if you're interested in joining! Questions welcome. Small Group Personal Training! Pay as you go! Only $10 per person!